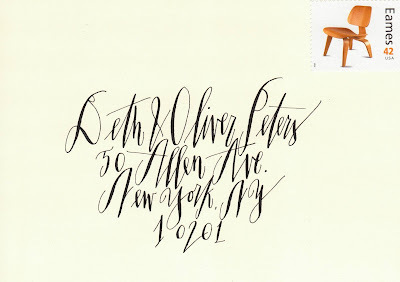 I like my handwriting, but I've always dreamed of being able to write as beautifully as talented calligraphers like Betsy Dunlap. 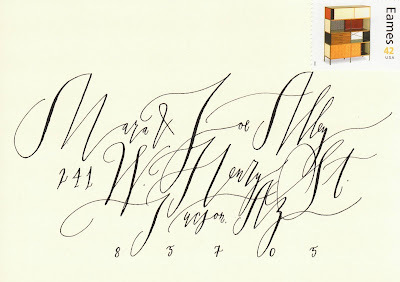 After browsing her website the other day, I found a calligraphy pen in my office and started to practice. I did okay, but didn't come anywhere close to Besty's gorgeous work. Betsy's work has been commissioned by Barney's New York, Martha Stewart, Loeffler Randall, Enfant Terrible, and The Guggenheim Museum. 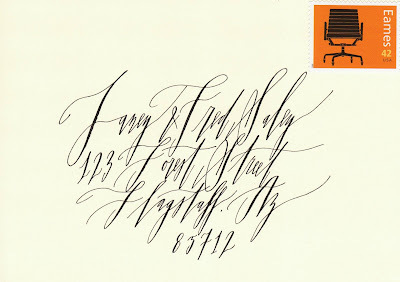 How fabulous would it be to have an artist like her address all of your correspondence? I would be even more excited to open my mail if I were on the receiving end! 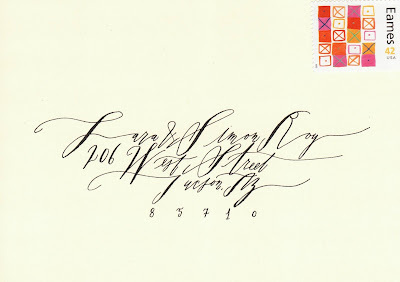 It's always so nice to receive a card or an invitation that is addressed beautifully. It makes me want to open it up even faster! "The Sofia" - This whimsical design is my favorite. I think it's perfect for invitations to a cocktail party or a bridal shower. "The Jill"- This lovely design is ideal for baby shower invitations. "The Amelia"- This one is a bit more traditional and would be gorgeous for wedding stationery, holiday cards, or anything that required a more formal touch. "The Elle" is rich with flourishes and decadent all around...perfect for anyone looking to make a statement. These are gorgeous. I envy such writing. those are so cool...very talented. i totally lack in that field! Can you imagine how her hand feels after doing a wedding of like 500 guests...ouch! Actually, I feel more sorry for the person paying for her services, I imagine she'd be costly! Oh, those are gorgeous! I so wish I could do that. 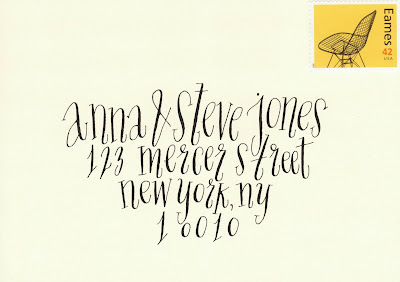 One thing I have always done with naming the girls was to write their names out as pretty as I could to imagine what they would look like on a wedding invitation. That is how I knew I had a winner. Good LORD those are stunning! The Elle is lovely. Dramatic. Bold. Over the top. LOVE it!